Erin N. Winkler is associate professor and chair of the Department of Africology at the University of Wisconsin-Milwaukee, where she also serves on the Advisory boards of Childhood and Adolescent Studies, Ethnic Studies, and Latin American, Caribbean, and US Latino/a Studies. In addition, she is affiliated with the departments of Urban Studies and Women’s Studies. Winkler earned her Ph.D. in African American Studies at the University of California-Berkeley and was a postdoctoral fellow in African American Studies at Northwestern University. She is author of the book Learning Race, Learning Place: Shaping Racial Identities and Ideas in African American Childhoods. Applications for Youth Grant awards are accepted throughout the season. Please see our Youth Grants page for application and deadline information. Fabu, as she is professionally known, is a poet, columnist, storyteller, and educator who writes to encourage, inspire and remind. 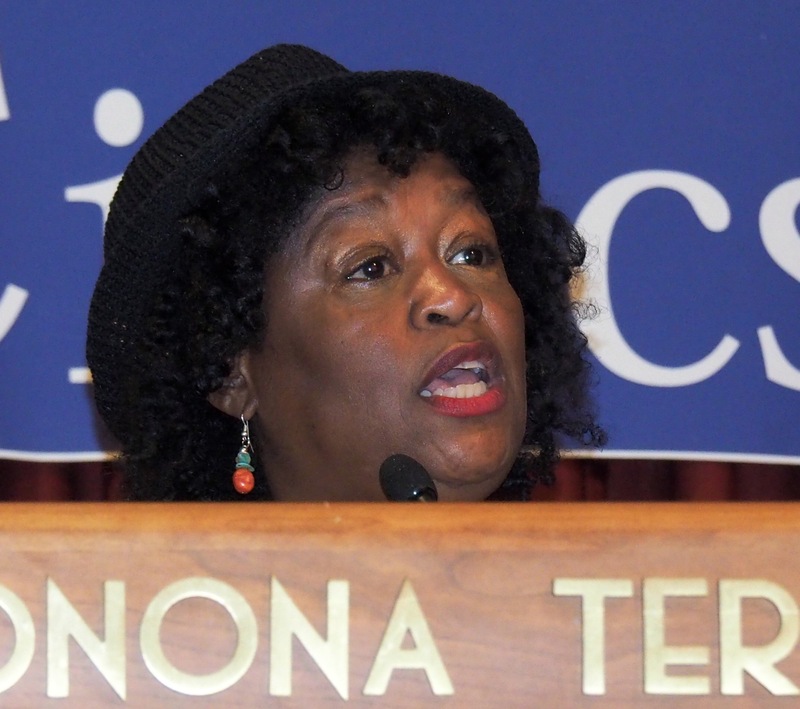 The Madison Poet Laureate (2008-2012), she continues to share experiences living in the South, the Midwest and in Africa. A scholar of African American Literature, Fabu published three books of poetry, Poems, Dreams and Roses, In Our Own Tongues and Journey to Wisconsin: African American Life in Haiku. Journey to Wisconsin…won an Outstanding Achievement in Poetry award by the Wisconsin Library Association. She is a Pushcart Prize nominee in poetry and her words have appeared in numerous literary journals. In addition, Fabu recently received an Outstanding Women of Color award from UW-Madison. Thanks to the Madison Public Library for compiling this list of resources for those who would like to read more on this topic. Anderson, Carol. White Rage: The Unspoken Truth of Our Racial Divide. New York: Bloomsbury USA, 2016. Tochluk, Shelly. Witnessing Whiteness: The Need to Talk About Race and How to Do It. Lanham, Md. : Rowman & Littlefield Education, 2010. Trillin, Calvin. Jackson 1964: And Other Dispatches from Fifty Years of Reporting on Race in America. New York: Random House, 2016. Ward, Jesmyn. The Fire This Time: A New Generation Speaks about Race. New York: Scribner, 2016. Watson, Benjamin and Ken Petersen. Under Our Skin: Getting Real about Race – and Getting Free from the Fears and Frustrations That Divide Us. Carol Stream, Illinois: Tyndale Momentum, an imprint Tyndale House Publishers, Inc., 2015. Williams, Chad Louis, Kidada E. Williams and Keisha N. Blain. Charleston Syllabus: Readings on Race, Racism, and Racial Violence. Athens: The University of Georgia Press, 2016.